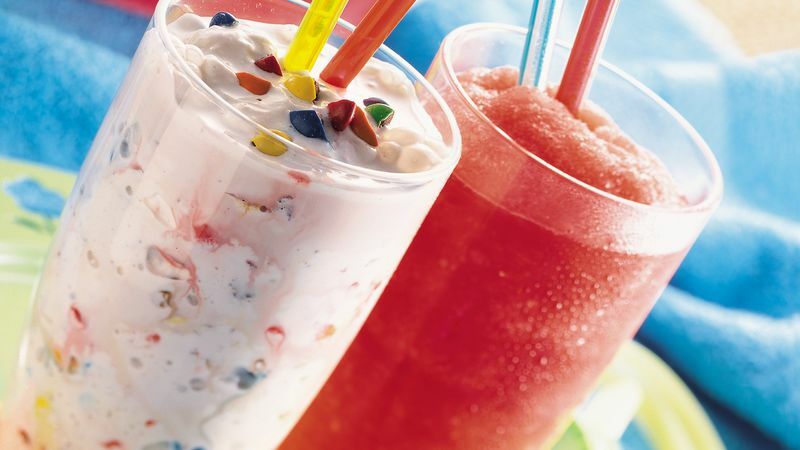 In blender container, combine half of the ice cream, half of the candy and 1/4 cup milk. Cover; blend until combined. Add remaining ice cream and candy. Cover; blend until of desired consistency, adding milk 1 to 2 tablespoons at a time.